I’m a Field Cup winning saltwater fly angler & pro fly fishing guide. 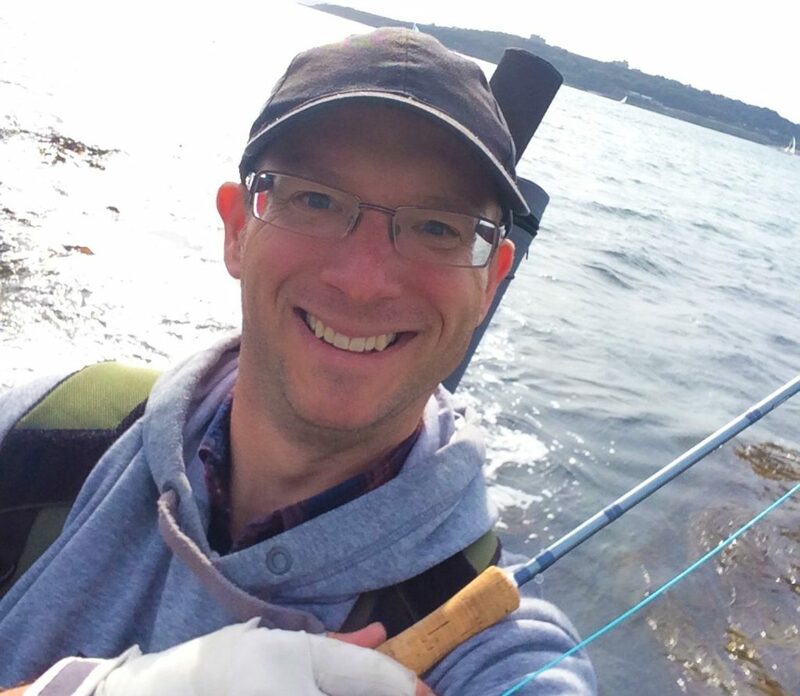 Ive also written some books, made some films and caught some fish! 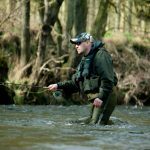 Saltwater fly fishing is a niche but growing area for fly fishing in the UK. 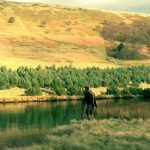 For many people who’ve spent a lifetime chasing species such as Trout, it provides a natural progression and the excuse to absorb yourself in the beautiful coastline of the UK. Best of all it’s free fishing too! Location and timing is everything. 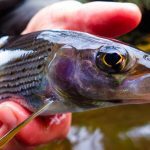 In fact, out of all the things listed in this short guide, where and when you fish is the most important thing when considering saltwater fly fishing. If you plan on spending half an hour flicking a fly into the sea whilst the family play on the beach this summer, I can pretty much guarantee you won’t catch anything! Plan your trip like a military operation to ensure you fly is in the water during the feeding window in the marks that hold fish. 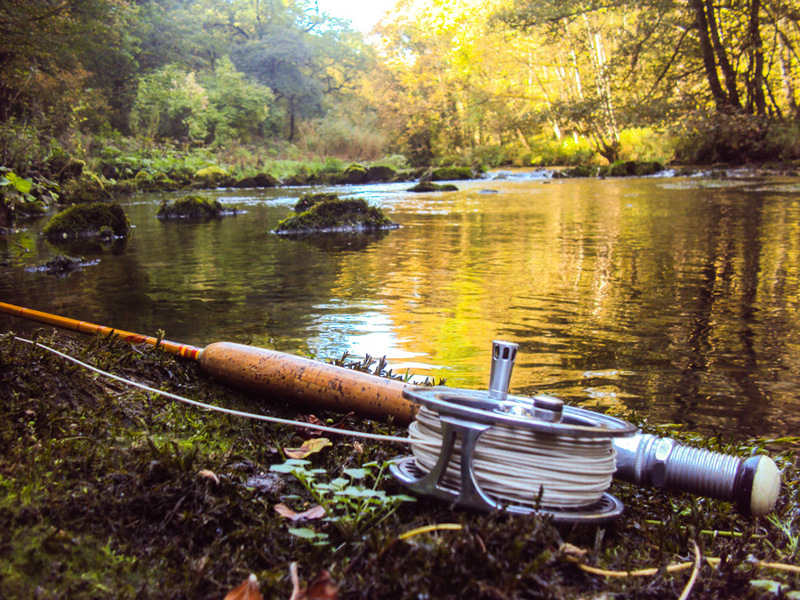 Firstly, remember you are using a fly rod. You are not casting a beach caster. You need to find a location where you can reach the fish. 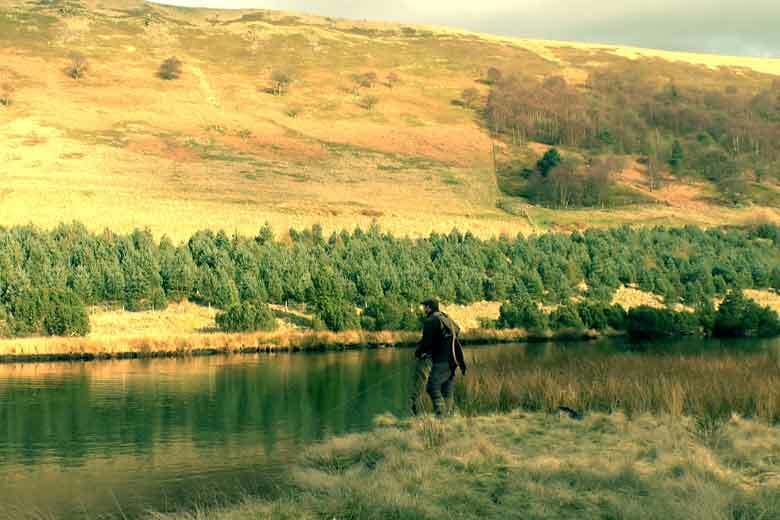 Like all fishing, bright, hot and still, days are some of the worst weather conditions. My personal preference is to be fishing during or at the end of a bit of a storm. Dark skies and some wind on the water to stir the bottom up and put a little colour in the water would be my preference. When the wind and swell stirs up the water it will also stir up the food around the rocks and kelp. All those dislodged crabs and small baitfish and sand eel will bring our quarry close in where we can target them on a fly rod. Deep water marks can provide some great fly fishing. Bass & Pollack are the main quarries but Mackeral will also be in casting range at certain times of the year. Wrass may also feature but require a little more or a specialist approach. Casting can be an issue on these marks as the back cast is often limited by rocks or cliffs. Usually, these marks have deep water at all states of the tide so fish can be resident at all states of tides. With the fly, try and find features such as drop off or shelves to strip your fly back. 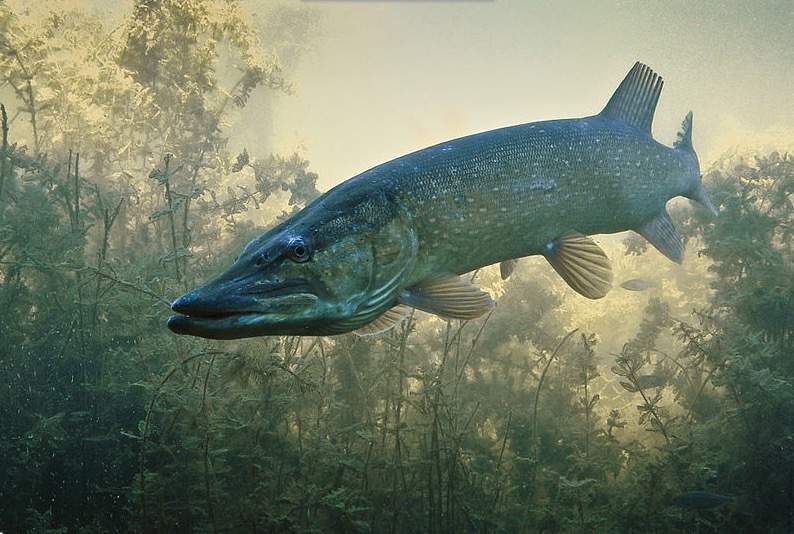 Areas where Bass and Pollock can lie and ambush their prey. 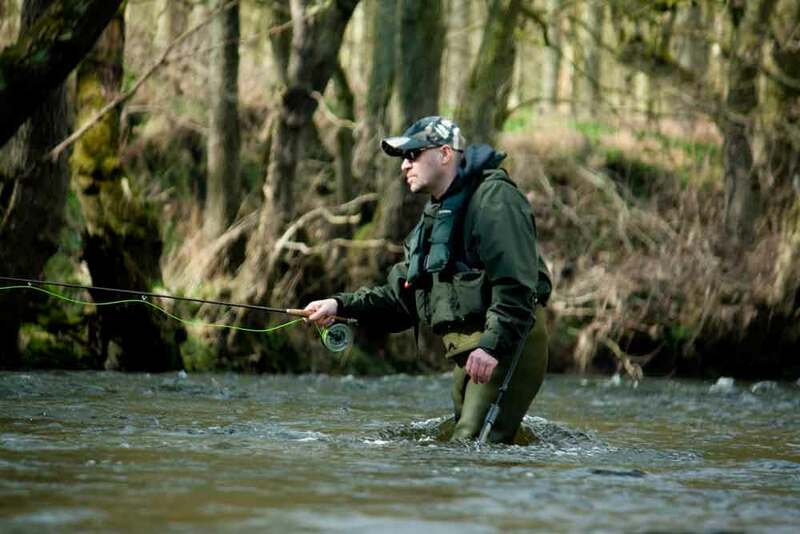 In deep water, this may require the use of a heavy sinking line in order to get your fly down to these areas. Mackeral can lie in mid to high water and can be caught on floating or sinking lines. Don’t be afraid to cast parallel to the bank as opposed to casting straight out. 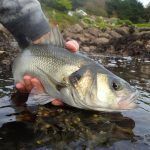 There can often be fringes of weed and kelp on the water line and the bass and pollack can often be right under your feet. Look for areas with rock pools & kelp at low water. During the flooding tide, the water will rip through these areas and stir up crab, baitfish and sand eel, when this happens Bass and Pollack can move in for an easy feed. 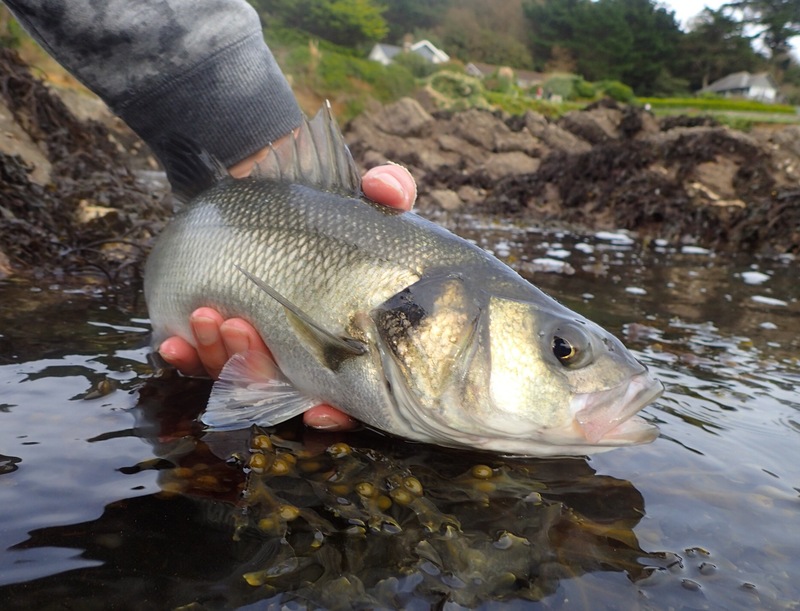 Also, large rocky groins that extend into the water at the edges of beaches can be a good area to try for bass. 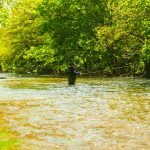 Usually, a floating line is all that is required as you are only going to be fishing in a few feet of water. Fish the flooding tide up from the low water and around the slack tide too. Beaches are really hit and miss affairs. 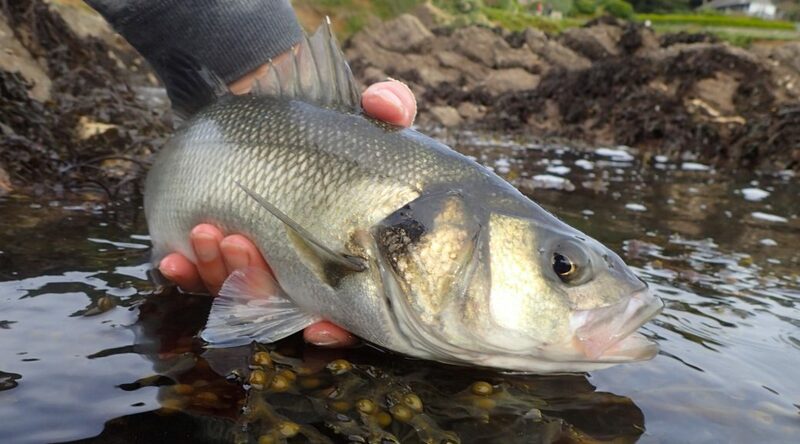 The only species likely to be in range of a fly rod when beach fishing are Bass or if you know the location – Mullett. Here, local knowledge is everything and it’s important to try a bit of research to find bass holding areas before fishing. This way you maximize your chances of connecting with a fish. You will be casting and fishing in and around the surf, the bass will be hunting in and around the breaking waves where small baitfish, sandeel and crab will be stirred up by the crashing waves. Potentially all states of tide will be fishable but the flooding tide is a good bet. 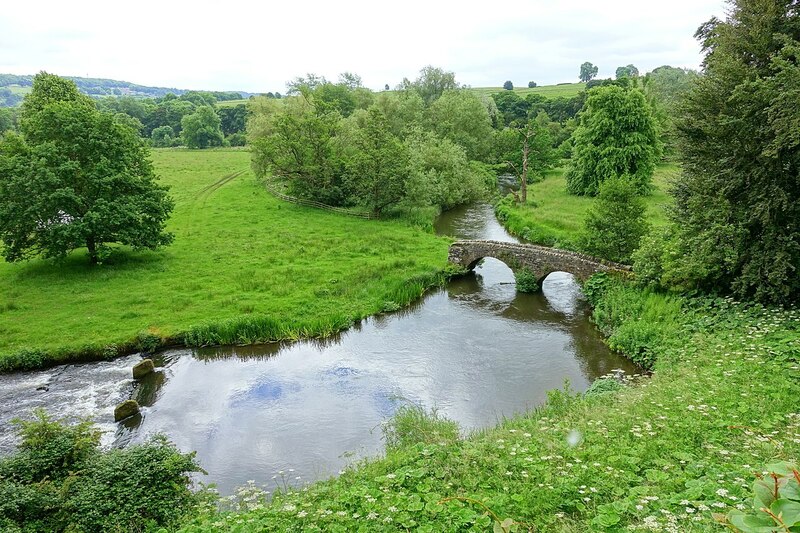 Be careful to ensure you have a rod license if required when fishing on rivers. 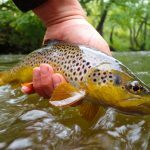 Light tackle approaches can be an option on the river and small flies such as diawl bachs or shrimp work in a similar way to trout fishing on still waters. Harbours and the like are a good bet for targeting Mullett. Make sure you have some good Mullett flies and lots of patience! 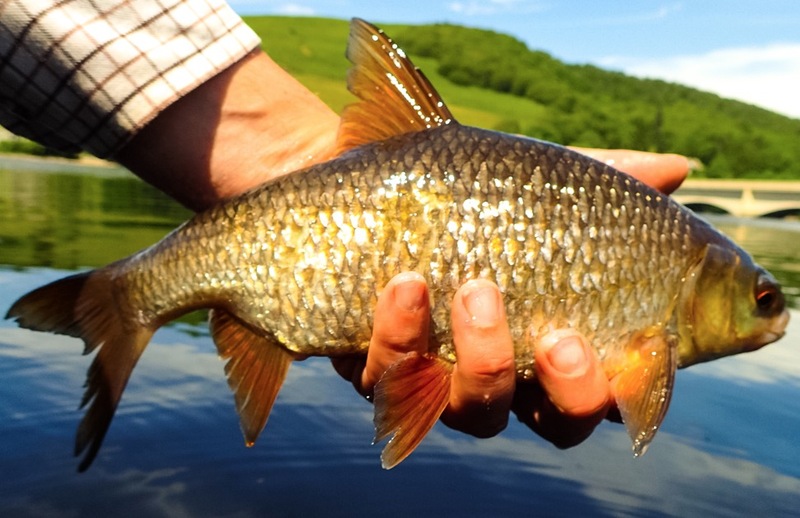 There a potential for other species too but often fly fishing opportunities can be limited due to high walls and drop offs. 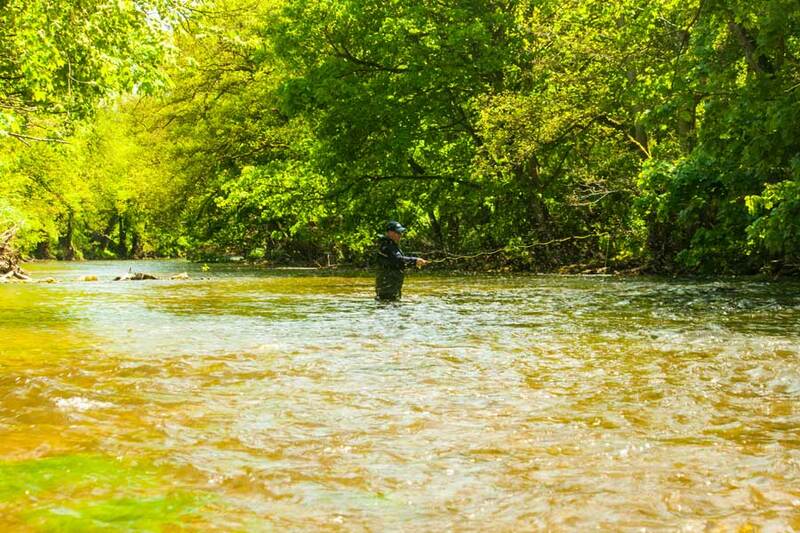 You will need to find some access at a level that allows you to cast a fly rod. Finer tactics can be required in these situations especially if you are targetting Mullett. 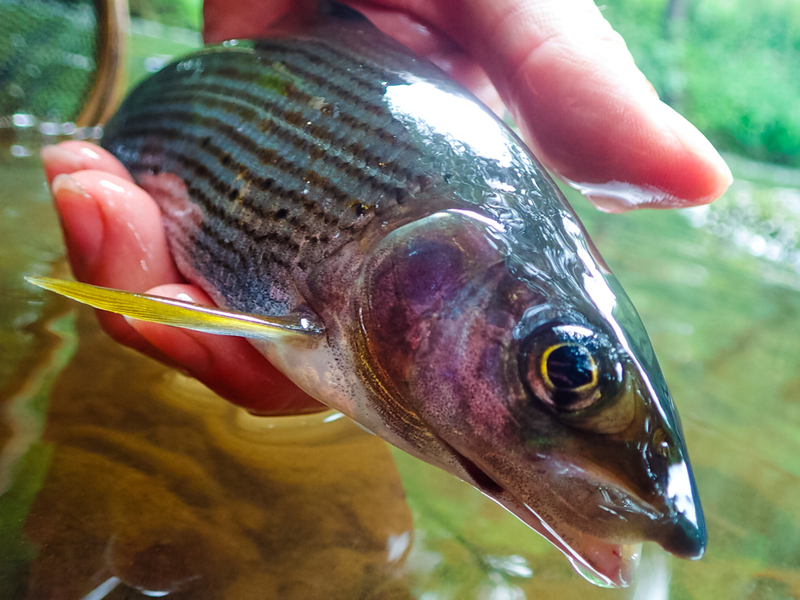 The Bass is most likely your number one target when saltwater fly fishing in the UK. It’s aggressive, close to shore and easy to catch on a fly. I like to use a floating line with an intermediate Poly Leader of around 5 feet in length of around 3 feet of 15lbs mono. Cast out in a fan shape and explore all the water, concentrate on drop-offs, groins, rocky gulleys where the flooding tide is stirring up the food. 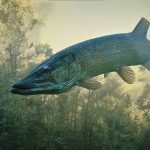 Try different retrieves and depths and keep moving to different locations. If you get your fly in front of a feeding bass they will normally have a go at it. The challenge here is finding the fish in the first place. Reconnaissance and research are time well spent. Pollock are a banker! Nearly all rocky or kelpy marks have a potential to hold Pollock. They are hard fighting and can often save the day when searching for other species. They are very greedy and even the tiniest Pollock will take huge flies! 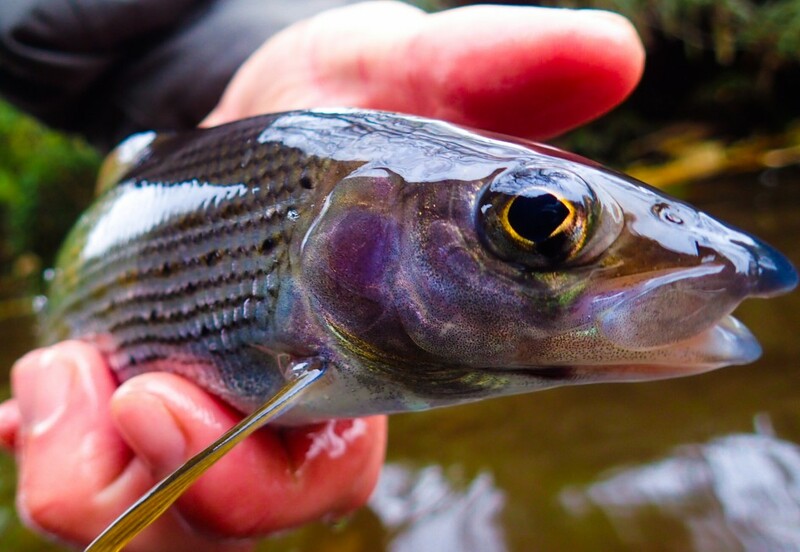 Out of all the fish to target, the most frustrating and hard to catch is surely the Mullet. They are fussy feeders and their small mouths mean that small delicate presentations are required. 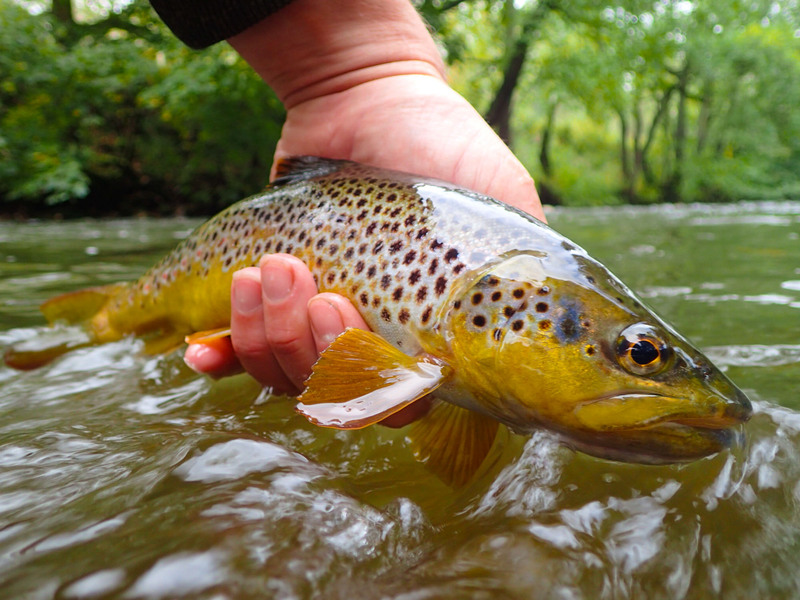 Not only are they hard to find but they will often shy away from your fly at the last minute or totally ignore it. Moving down to a finer leader and smaller scud or shrimp type flies is a good bet. 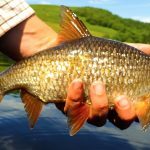 Mullet can often be found in harbours and other similar areas but beach fishing can be successful if you know where to go. 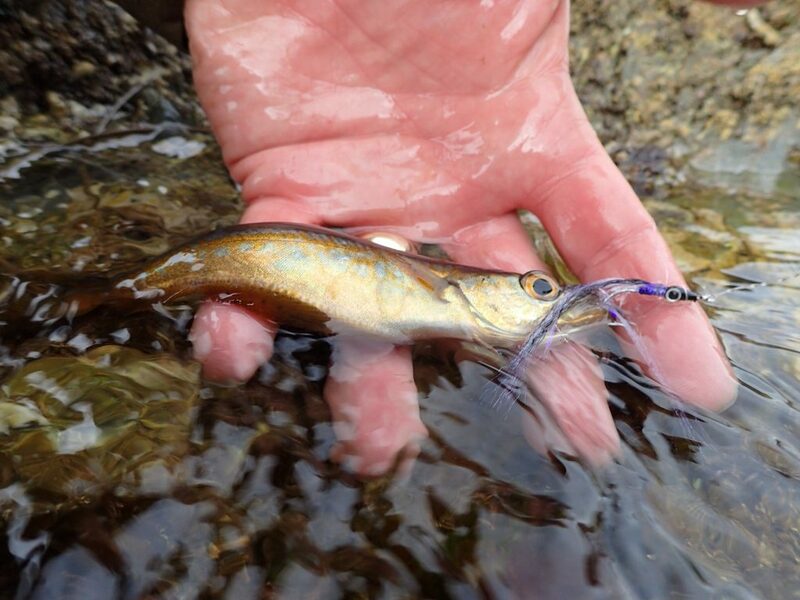 Mackeral are easy to catch but harder to find within casting range of a fly rod. 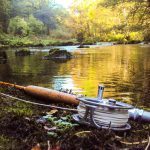 They often frequent the deeper water such as piers and breakwaters which can be accessed with spinning or beach casting tackle but these venues are unsuitable for casting a fly rod. That said if you do get amongst Mackeral on a fly then the fight is fantastic as pound for pound them are some of the hardest fighting fish in the sea. 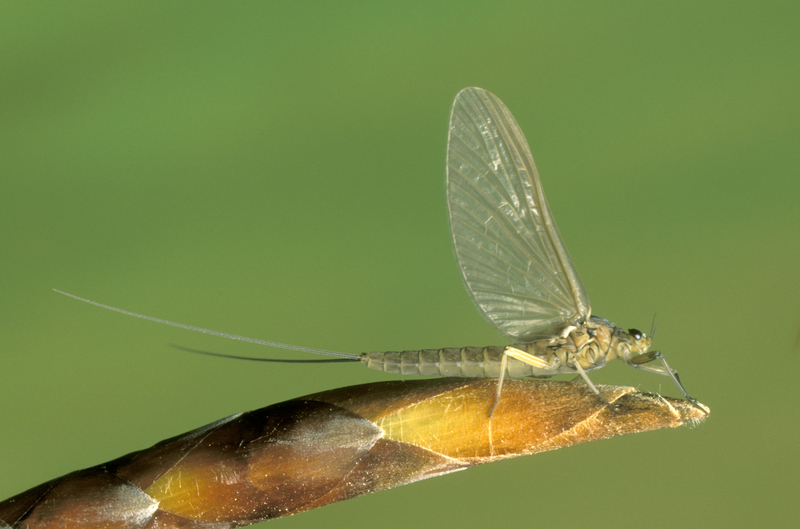 Almost any bright baitfish or streamer type fly will catch them. You can try different lines from floaters through to sinkers. 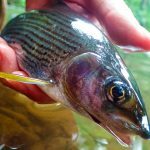 Wrasse, Salmon, Sea Trout, various flat fish and even some of the shark family can be taken on the fly. Often these species turn up as more of an accident when targeting Bass but what a happy accident to have! This will turn over bigger flies and easily punch through any sea breeze. If you are going to take it a little more seriously then a dedicated 9 weight outfit designed for Saltwater will do the proper job. Whatever you use it’s vital that you wash everything down with cold fresh water at the end of the day and dry it off. Saltwater will kill your gear fast. I simply take a shower with my gear at the end of the day and put it out to dry before it goes away. I also recommend some Poly leaders which will help control your line in the swirl and swell of the sea. Some people like a line tray to help coil the line. I personally hate them! But everyone is different.